Michele, thank you for keeping a blog about your experience and recovery. I was floxed on Oct 15, 2010. I took Cipro for 3 days. It quickly reduced me from a healthy, 29 year old to immobile and bed ridden. It’s been a little over a month and I feel fortunate to have some mobility back. I worry that joint pain will never fully go away. I was glad to find your blog and learn that people are speaking out about the dangers of fluoroquinolones. yes, I have the same question - how long after floxing are we susceptible to tendon rupture? Does there come a time that the tendons are strong again? I am also a dancer poisoned by Cipro. 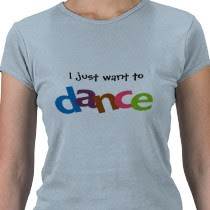 Luckily, I did not work as a dancer, it was my passion and hobby. I took Cipro in April and June of 2010 for a supposed sinus infection, which may just have been an undiagnosed servere case of gastric reflux/wheat sensitivity. Here I am, 6 (and)8 months later...the idea of dancing is but a dream. Yoga, weight training and biking are just memories. The idea of walking in the mall and having to sit down every few minutes to recuperate is reality. I can cope with the tennis elbow and shoulder pain I feel even when I try to pull the blankets over my head at night to forget this nightmare. Its the organ damage that scares me so very much. I was just put on high blood pressure meds this afternoon to advert the real possibility of heart attach or stroke due to spiking blood pressures. Cipro has stripped away everything that I was and that I loved. I so badly want to be me again. Hi, my name is Pat and i'm new to this site. I was given Cipro by a trusted doctor of 3 years, and this has turned into a nightmare for me. I was never warned of anything by my doctor or the pharmacy. I only took this drug for 4 days, but the damage is done. I partially blame myself for not researching these meds first, which i almost always do but not this time. what a huge mistake. I can't believe the pain i'm in, numbness, tingling, burning pain, insomnia, muscle spasms, tremors, the list is endless. It's only been 3 weeks, but with each passing day i'm less and less optimistic. hello my name is James. I'll try to keep my story short. On 11/24/2010 i was accidentally prescribed 2000 mg of cipro per day by my doctor, he maid a writing error on the scrip and also the pharmacy did not catch it. I an a 30 year old weight lifter, runner and i am an electrician which is a very physical job. I took the cipro for 3 days, 12 pills and it wreaked havoc on my body. i had severe diahrea(for about 7 days), tendonitis, failure of kidneeys and intestinal tract, insomnia and too many problems to list. 3 days after stopping the cipro i spent 6 days in the hospital. I honestly thought i was going to die. I was on morphine, percocet and toridal which only gave me about 3-4 hours of pain relief. once i got out of the hospital i spent about 2500$ on natural medecines, chiropractor visits, physical therapy, cortisone shots and much more, it helped some but i felt poisoned and the pain at night was the worst pain i've ever felt, the insomnia and eye twitches only let me sleep about 3 hrs a night, a true nightmare. And now 1 month later you won't believe me when i tell you but i am almost back to 100%. LET ME TELL YOU THERE IS HOPE. How? you might ask, well a friend of mine told me to give acupuncture and qigong a try so i googled and found one nearby(i can give his website) Long story short he examined my tongue and told me that i was intoxicated and that he would cleanmy blody. after my first treatment with him which was about 30 mins he sent me home and told me to take a hot shower and rest up. I thought i got ripped off because i really did not feel much during treatment but about 1-2 hours later my body started feeling weird in a good way. I was so amazed its been 3 days since i went to him and i feel almost 100% again, my legs are a little sore but its minimal. I don't know how eastern medecine works but whatever this guy did it has cured me. Since i know the pain and horror this does to you i will do anything i can to help on this website. I am not advertising for this accupunturist but all i can say is that in less than 30 mins of treatment which cost me 180$ i am cured. And i'm writing this late at night because i've been sleeping all day. my e-mail is: jer2rom@yahoo.com if you want some more info. Just be true to yourself Michelle, you can do it, you can really do it. Don't thin too much the pain, just think that you can bear it. Great advice Bellevue! That seems to be my motivation and strength. Oddly enough when I hear, meet and read all of the other stories I burst into tears! I can barely stand the thought of anyone else going through what I am going through. nearly 5 years on and im still havin problems cervical dystonia and my calve muscles and feet are like there being boilied in bag and i dont know where me feet are as my balance is shot. Any one have any ideas before i cut my dam legs off! I feel im just left a mess and doctors ect dont really want to know anymore. 500mg of 5 two week courses over a period of six months did this damage the only thing i have to be thankfull for is i have carried on walking just but it just wont stop. is this normal??? Normal or typical is probably a better word. I don't think that there is anything normal about what these drugs do to you and the fact that they keep on prescribing them for everything under the sun is a crime! Sorry for all the pain and suffering that this medication has caused everyone. My best friend has suffered the same symptoms that all of you are reporting. He even actually posted a comment in this thread back in late 2010. Unfortunately he has gone missing since back in April 2011 and I was reaching out to this community to see if anyone has had any interaction with user James @ jer2rom@yahoo.com? His Mom, Dad, Sister, Fiancé, and all of us, are extremely worry about him and are pleading for any information that may lead us to finding him. If any of you had any communication with him, please reply back and I will be truly grateful! I am sorry to hear that I will post it on my blog and in the FQ board. I have an upper respiratory and sinus infection, and when the doctor wanted to prescribe Cipro I said NO...all thanks to you! Good for you, Sue!! There are certainly other options with less risk. Well, I am glad to hear that! Please be careful of your tendons!! Just wanted to add something here. I noticed a reference to neck spasms related to ciproflaxin in a newspaper yesterday. I was aware that I was given this med for cystitis last year , but didn't finish the prescription.Having read your comments I guess I was pretty lucky. However, ten years ago I had a very bad cough. This was unusual for me. I went to the doc. but can not remember what he gave me. A couple of weeks later the cough settled but suddenly I began having choking episodes where my neck /throat went into a spasm and I couldn't draw in breath.This was absolutely terrifying even though each episode probably lasted only seconds.For this reason I was never near a doctor when I was bad. A terrific headache followed each attack that traveled from the back of my neck right up over the top of my head.This happened about five times in a two week period.The final time I did not get the choke, just the almighty head ache. I called the night doctor even though the pain abaited slightly. I thought I was having a stroke. He advised me to see my doctor first thing in the morning which i did. My B.P. at that time was 206/105. This was twelve hours later!! !I actually spoke to three doctors in all and none could explain what was happening to me.The spasms never came back, but it was months before I actually felt 100%.I am not in the u.k. just now, but will find out from my doc. just what was prescribed to me at that time and will warn my friends and family.